FARGO – The National Weather Service has predicted widespread flooding from the Great Lakes to Devils Lake to the Red River of the North River Basin, saying the risk is elevated because of packed snow, deep frost, and above-normal ice thickness. “March has been and will likely stay unmerciful,” the National Weather Service reported. Next week, temperatures are predicted to rise to above 40 degrees Fahrenheit. “There have also been a few widespread storm systems that brought some additional snow to the region,” the National Weather Service reported. 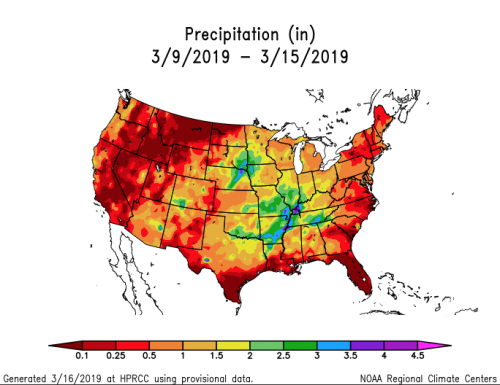 “Between 150 to 200 percent of normal precipitation has fallen surrounding Minot and near Fargo, North Dakota since November 1st, with near normal amounts since January 1st. 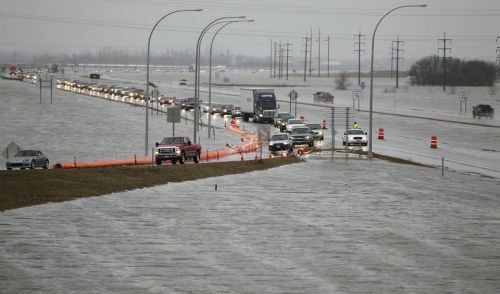 On March 15, Fargo Mayor Tim Mahoney said the city has already begun preparing for a flood of potentially historic proportions. On Monday, March 18, Mahoney signed an emergency declaration in anticipation for 2019 Spring Flood, which carries a National Weather Service warning of a 10 percent chance that the city will see a 40.3-foot river crest. “In this declaration, the mayor noted that the City of Fargo is in danger of suffering a substantial flood event and therefore proclaimed that a state of emergency exists in the city,” a City of Fargo press release stated. Mahoney set a goal of producing one million sandbags during the next several weeks. Volunteers can sign up to help at Fargo Sandbag Central, which will being operations on March 26. Although Fargo has made improvements with flood protection since the area’s last flood of 40.78 feet in 2009, including changes involved with the $2.75 billion F-M Area Diversion Project, there are areas that are still not protected.